The VSK2000-U3 slim desktop case is notably strong for its modest size, creating the perfect case for System Integrators. Features a tool-less, quick release ODD/HDD housing system for fast installation with minimal effort and will have you up and running in no time. 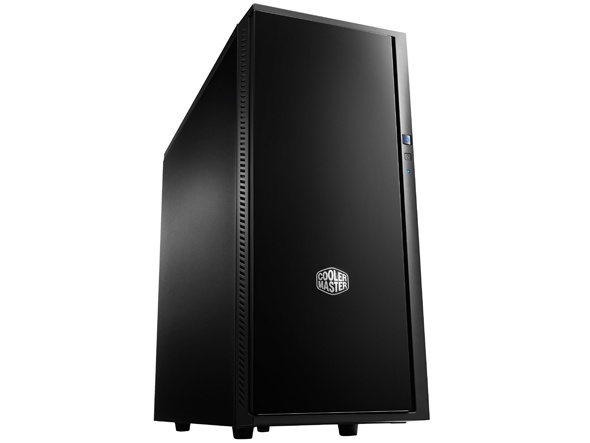 The included base allows for vertical installation of the VSK2000-U3, ideal to save space on your desk. 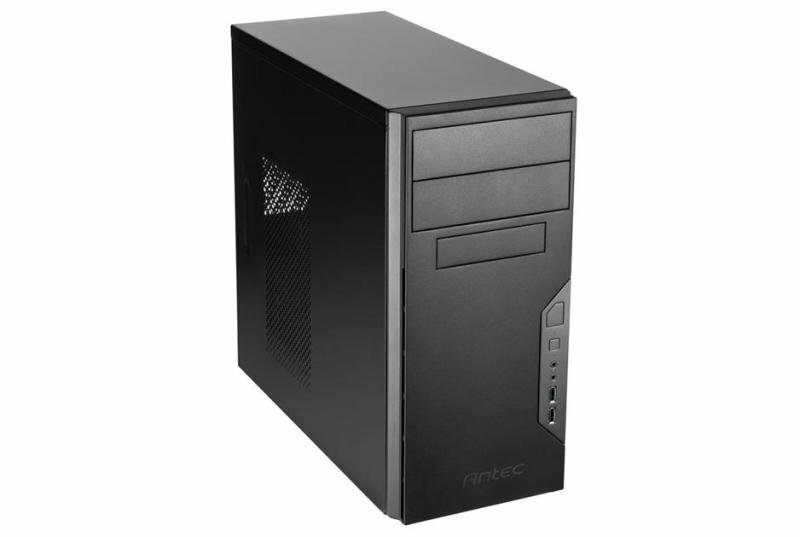 This modest chassis supports both a Micro ATX or a Mini ATX form factor motherboard. 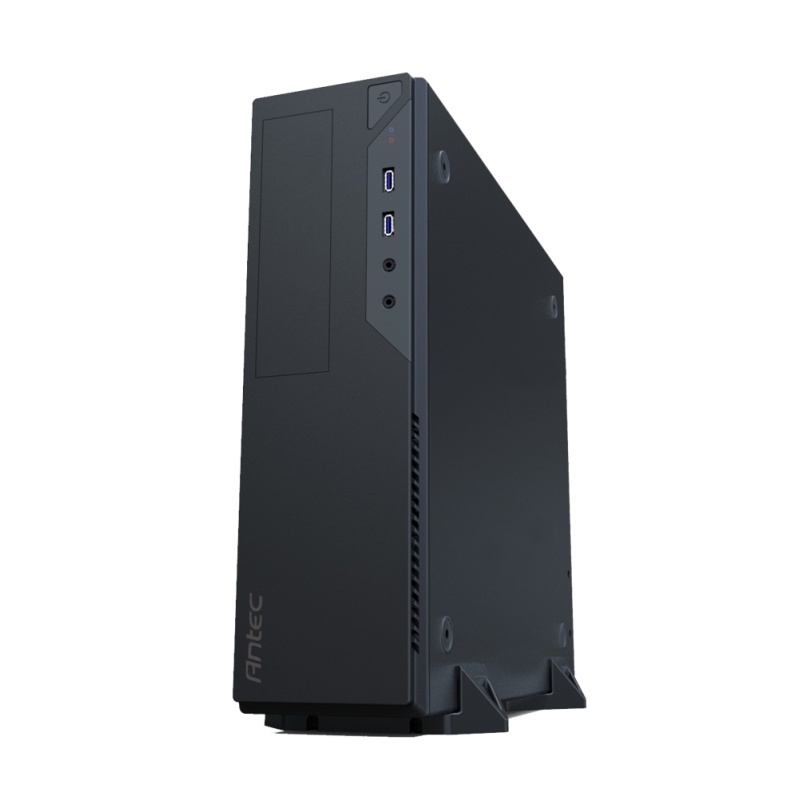 TFX PSU form factor required. The tool-less, quick release ODD/HDD housing system for fast installation with minimal effort. 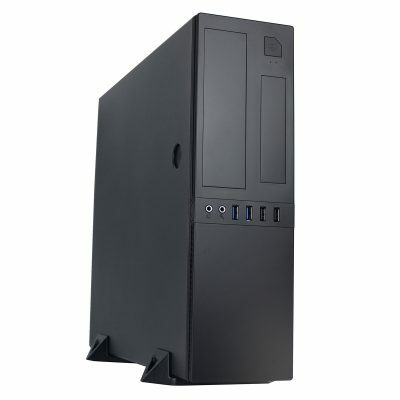 Simply press the quick release button, lift up the base and access both the ODD and HDD compartments with ease. And to take the tool-less installation further, simply slide the drives in without the use of any additional screws. The included base stand allows for vertical installation of the VSK2000-U3, perfect for saving space on your desk.